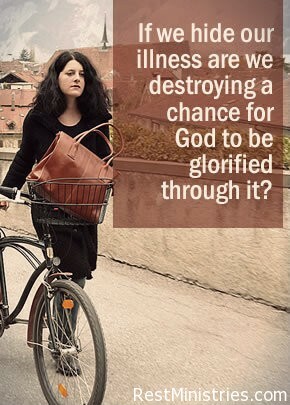 Can allowing our illness to show glorify God? In having “silent” chronic illnesses, such as fibromyalgia and epilepsy, I have found some people do not understand the symptoms and feelings I experiencing, such as the deep muscle pain, fatigue or the fear constantly inside of me over when the next seizure would come. I wouldn’t tell anyone. I felt all alone in the world. However, when I made the choice to change my attitude toward the illness, everything changed for the better. I prayed and lifted up my symptoms and paralyzing feelings to God. I was no longer embarrassed by not being able to do as much as other friends of mine could do. If a friend asked if I wanted to go out that night, I simply said I could not do anymore for that day. When it was too cold out for me to go to a gathering, I would explain my muscle pain was acting up that day. When I was feeling fear due to a seizure, I shared it with one of my close friends. I left my friend’s reaction up to God. What I noticed, to my relief, was that there was more understanding from them than I thought. When I explained my illness if they asked, they said that they also had a family member or friend with that disease. This would open the door to me helping them or their loved one cope with chronic illness. I had a chance to allow my light to shine for God’s glory. 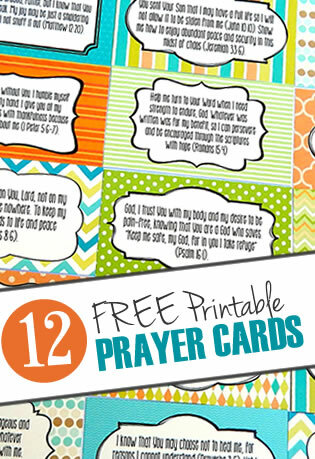 The next time you experience a symptom or feeling you are tempted to hide in embarrassment, open yourself up and share to help them for the Lord’s glory. Prayer: Dear Heavenly Father, thank You for turning all things, including “silent” symptoms and feelings to work together for good for Your glory. Jodi Wheeler is a freelance Christian writer who resides in Tucson, Arizona. She enjoys writing articles and Bible studies for God’s glory. She desires to pass on the messages of hope and encouragement she has found in Christ. Christ is the one who not only gave her the ability to cope with the chronic illness, but pulled her through to the other side with a new strength and hope in Christ. thank you for this article. I spent quite a long time frustrated by those who didn’t understand, feeling guilty, embarrassed, at my inability to do what I have always done. but I finally accepted my new limitations and decided to not hide it, or feel guilt and like the author said, leave their response to God. I have much more peace now. and by speaking up, others are becoming more informed, and hopefully more understanding. Thanks for this article, sometimes you feel you have to hide things as you are not really beleived but I remember my late Mum said when no one else knows what you are going through God still believes in you. Thank you so much for this article. It has been a struggle for me, I needed this reminder. When I had shared my pain with people, they would open up about their own struggles. I think this struggle is one that most have. We see those who don’t really want to know and those who seem interested. I have learned for the most part, those who I love dearly aren’t interested. I wish I had never made it through the beginning of the 15 years. At least life would be happier for them, as I can’t seem to play that part as much as I try. I am weary and ready to go. But it’s not mind to pick the time.